Linen is included for the total number of persons booked. SCI Under Occupancy Charges are £90 or £80 per empty bed per weekend - please check individual resort pages for details. Combine great comfort with space and facilities in these popular holiday homes. They are 10ft wide and have either two or three bedrooms, a colour TV in the comfortable heated lounge and a fully fitted kitchen and microwave oven. 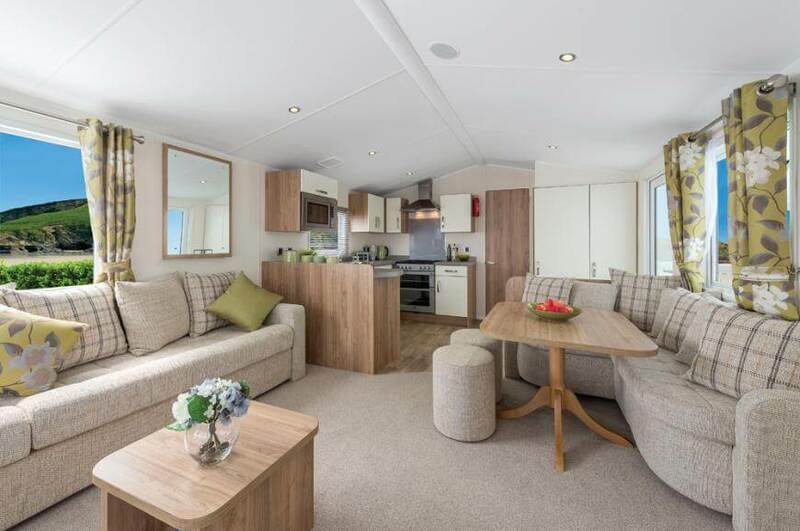 Furnished to an excellent standard, Deluxe caravans are 12ft wide and have gas fire heating in the comfortable lounge with a colour TV and a fully fitted kitchen and microwave oven. Not only is bed linen included in all Haven accommodation with SCI, if you book Deluxe accommodation your beds will be made up on arrival. 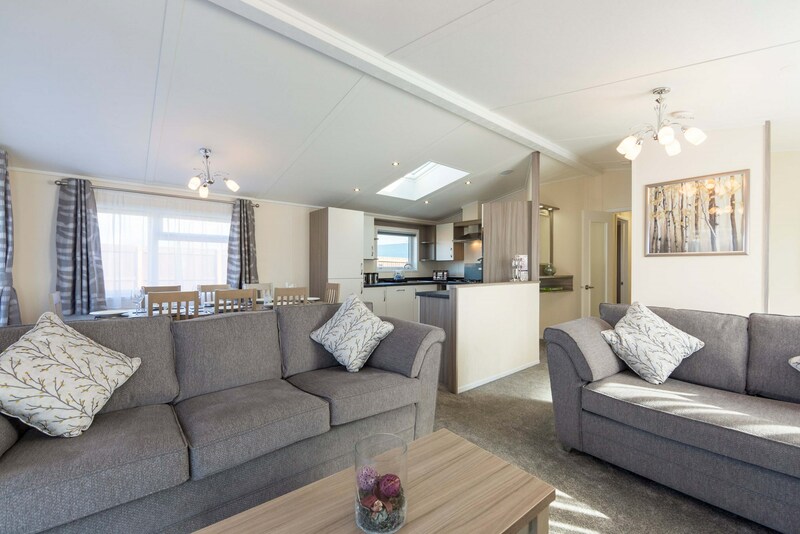 Prestige Caravans are newer and more spacious 12ft wide Holiday Homes with high quality interiors, fixtures and fittings. In addition to the extra touches of style, quality and luxury, there is heating in the bedrooms and bathroom. 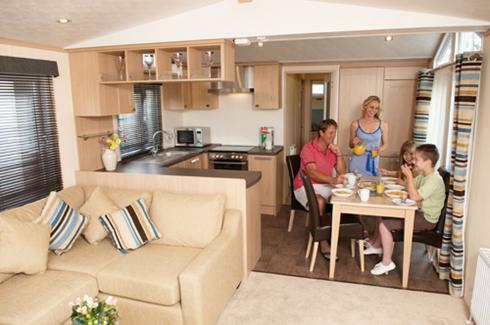 All Prestige Caravans have colour TV and DVD in the comfortable lounge and fully fitted kitchen with microwave oven. Plus all beds are made up on arrival in Prestige caravans. Prestige newer models are all less than two years old and at over 12ft wide, they're very spacious. So, if you're after a little bit of luxury, this is a perfect choice. With stylish fixtures and fittings, these models are fitted with central heating and double glazing. A 40" TV with DVD player in the lounge is provided as well as a 22" TV in the master bedroom, other additional features include a second toilet in the en-suite to the master bedroom. Check in time 2.00pm. Bed Linen is included in all SCI accommodation - Please note bed linen is no longer included at Pontins for the 2019 season so please bring your own! NO PETS Allowed at any SCI Festival. This may differ from the terms & conditions of the holiday park. Pontins is constantly changing, they are currently updating all accommodation, all chalets have been fitted with new beds and sofa beds & in addition to this all chalets have been painted & much much more!! Please note bed linen is no longer included at Pontins for the 2019 season so please bring your own! Located in the picturesque surroundings of the centre's landscaped areas. Club chalets will make you feel that extra bit special. Enjoy a priority check-in from 2pm, colour TV with digital channels. Electricity is also included in the price. All bedrooms have electric wall heaters. 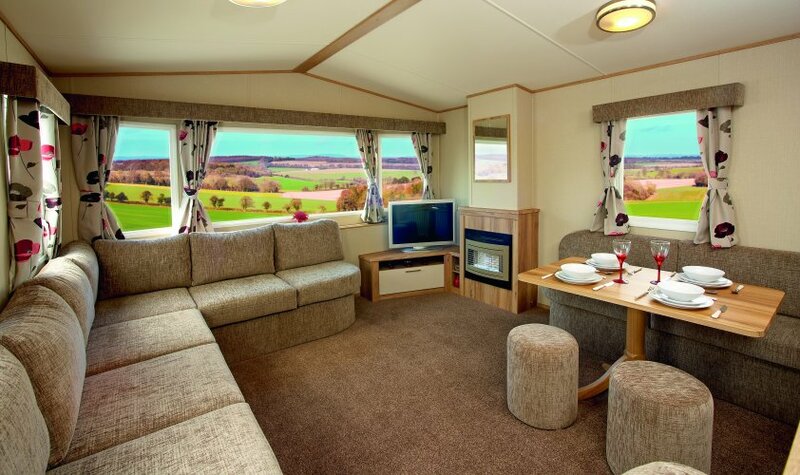 Each one is equipped with a colour TV, fully fitted kitchen, lounge area and double bed settee. Firm favourite amongst many teams each year. Check in 4pm. All bedrooms have electric wall heaters. Offering fantastic value for money. 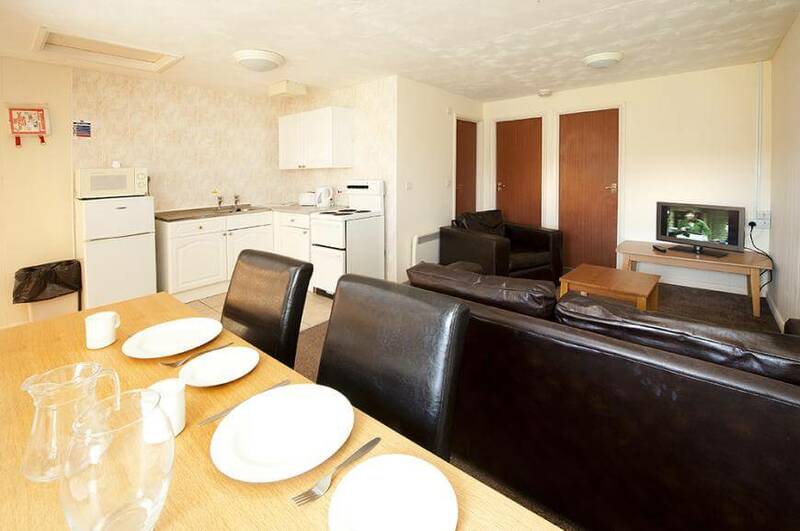 Popular chalets come with a fully fitted kitchen, colour TV and a lounge area with double bed settee. Check in 4pm. All bedrooms have electric wall heaters. N.B – All Pontins Chalets will consist of a double bed settee in the lounge area. Parkdean Resorts Under Occupancy Charges are £90 per empty bed per weekend. All beds are made up on arrival at Parkdean Resorts!! Bronze accommodation is the ideal family option, with all your homely comforts at a great price. FREE gas & electricity, Gas or electric fire and Colour TV in the lounge. Bronze Plus Caravans have heating in Blow Heaters. 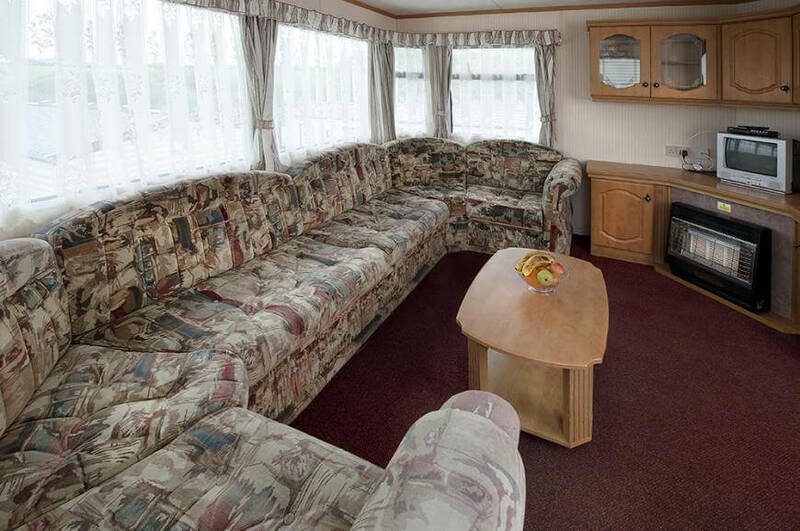 Caravans are available sleeping up to 8 people and may be either 10 foot or 12 foot wide, and include fully fitted kitchen, colour tv and comfortable lounge. FREE gas & electricity, Gas or electric fire and Colour TV in the lounge. All Silver caravans now have multi-room heating. 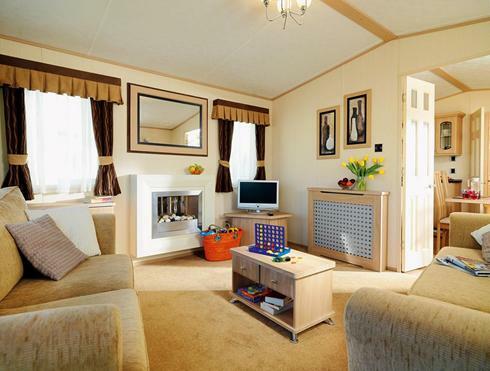 Caravans are 12 foot wide as standard, and include heating in the bedrooms and bathrooms. Beds are made up on arrival, giving you more time to get on and enjoy your holiday. FREE gas & electricity, Bedroom and Bathroom Heating, Gas or electric fire and Colour TV in the lounge. Silver Chalets are ideal for a comfortable holiday experience at a great price. 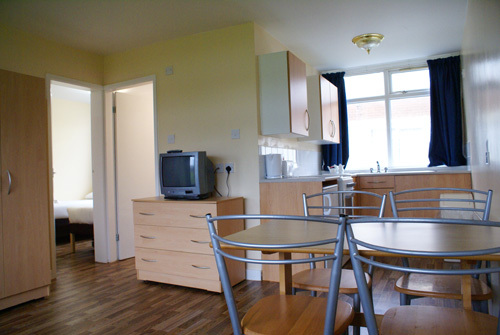 All Silver chalets at the Isle of Wight are 2 bedrooms. Expect to find a gas or electric fire in the living room and lots of home comforts. The chalets also have free gas and electricity, colour tv in lounge, fully operational kitchen, Microwave, beds made up on arrival & bath or shower and WC. All Silver chalets now have multi-room heating. 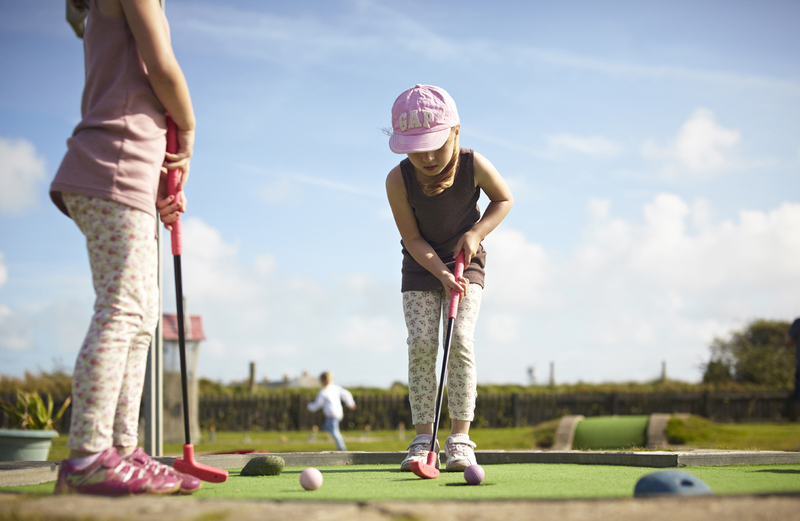 The lodges are the most sought after accommodation at the Isle of Wight. The lodges offer a full home from home experience. Included in the price is free gas & electricity, spacious lounge and kitchen area, beds made up on arrival, early check in & much, much more. These tents are home from home and are complete with beds, bed linen, kitchen sink, electric hobs, microwave, fridge, crockery, table and chairs, electric lighting and sockets and outside seating area. Plus full use of the toilet and shower block facilities. For a unique glamping experience book one of these safari tents today. Bed Linen is included in all SCI accommodation - Please note bed linen is no longer included at Pontins for the 2018 season so please bring your own! Bronze caravans are 10 foot wide as standard and come with gas/electric fire in lounge area, free gas & electricity, free bed linen, bathroom, colour TV and fully fitted kitchen with microwave. NB Some caravans may have bedroom heating. 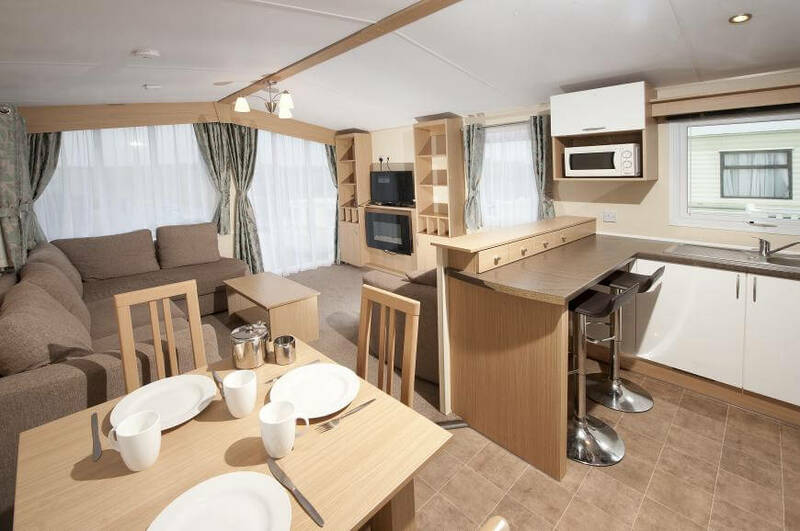 Silver caravans are newer models, 12 foot wide and come with gas/electric fire in lounge area, free gas & electricity, double glazing, free bed linen, bathroom, colour TV and fully fitted kitchen with microwave. NB The majority of Silver caravans have bedroom heating. Gold caravans are the latest 12 foot wide models and come with bedroom heating in all caravans, higher level of fixtures and fittings, double glazing, free gas & electricity, colour TV, free bed linen and fully fitted kitchen with microwave. 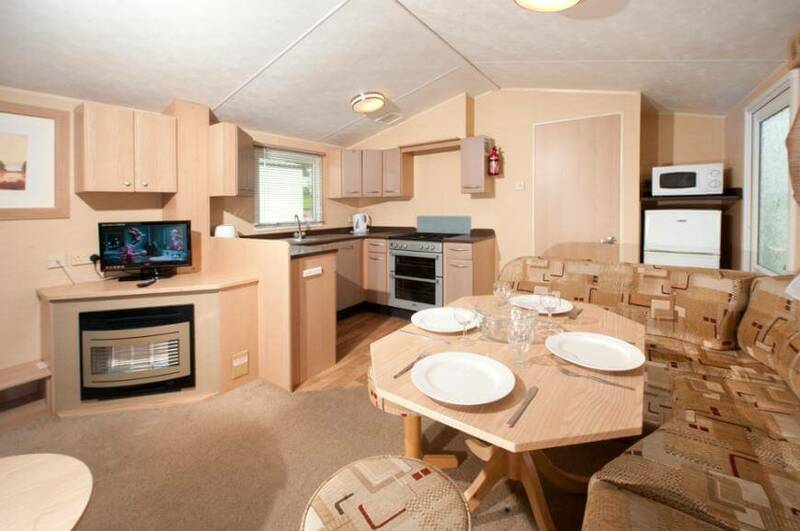 Bronze caravans are all 10ft wide and have either 2 or 3 bedrooms, plus a comfortable lounge & dining room. 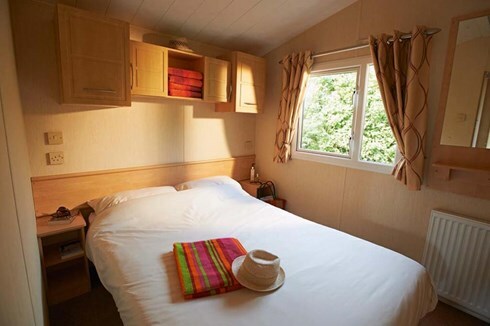 All caravans come with a fully fitted kitchen with crockery, cutlery, fridge, microwave & all cooking utensils, bathroom with toilet, wash basin & shower, well designed bedrooms with comfortable beds, bed linen, Flat Screen TV, Gas Fire in Lounge, bedroom heating plus Free Gas & Electricity. Check in from 4pm. The Bronze Select Caravans are the same as the Bronze caravans but come as 12ft wide as standard giving you all more room all round the caravan especially ideal over the Bronze caravans if there are 5 or more of you sharing.. The Bronze Select also come with newer fixtures & fittings throughout. Free Bed Linen Check in from 4pm. Standard rooms offer a clean & comfortable stay at the Grand Hotel. 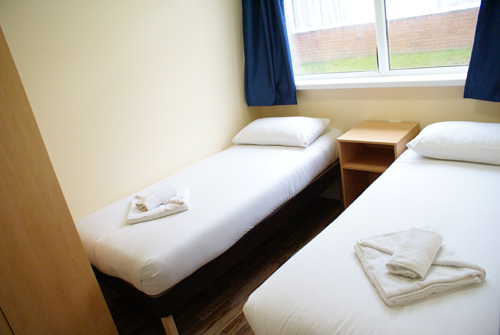 All rooms are en-suite, with remote control tv, tea and coffee making facilities, Hairdyer, Table & Chairs & more besides. City rooms offer all the same facilities as standard rooms, however these rooms are on the inside of the hotel so have no windows, but are well ventilated. All rooms at The Grand Hotel come complete with a full English breakfast on both mornings of your stay. All Family rooms come with one Double bed. As we have acquired the whole hotel for the festival, we will try and keep you grouped as close together as possible in the hotel. Check in from 3pm – Check out by 10am. Pay & Display Car Parking is available locally. The glamorous Bell Tents are probably a little more comfortable than the traditional ones used as staging areas for troops travelling during World War I! For starters they got electricity, and comfortable beds, kitchen and dining areas and a rather fabulous decor reminiscent of an old English country fayre, all in all a pretty great space, set within the Glamping village, with modern shower and toilet blocks all close by! All the comforts of home with that lovely cosy feel. Check in from 4pm and enjoy all your home essentials including entertainment passes and a flatscreen TV with DVD player. With modern décor and furnishing, heating throughout and hotel grade mattress and pillows the Superior Chalets offer a spacious, warm feel, that serves as an ideal holiday base. This is a perfect retreat offering superior quality, superior style and a superior location! Check in from 3pm. Super stylish, where you can expect more ‘wow’ in these lovely holiday homes. Check in from 3pm and enjoy heating throughout, entertainment passes and a DVD player. There’s only one way to describe this accommodation – absolutely splendid! Check in from 2:30pm and be welcomed with heating throughout, double glazing, complementary toiletries and a few welcome goodies. There’s also decking and outdoor furniture for those sunny evenings too! You party all night and you chill by the pool all day, right? You need somewhere seriously cool to catch some zeds…and that’s the The Rockstar. Oozing more style than Strummer and channelling more attitude than Oasis, this is holiday accommodation for the rock star lifestyle. Quite simply the very best in accommodation. Hot tub included. Hot tubs are available in a range of accommodation from chalets, to caravans through to lodges and are priced at an additional £100 per unit of accommodation for the weekend. Please call 01305 768555 for details. 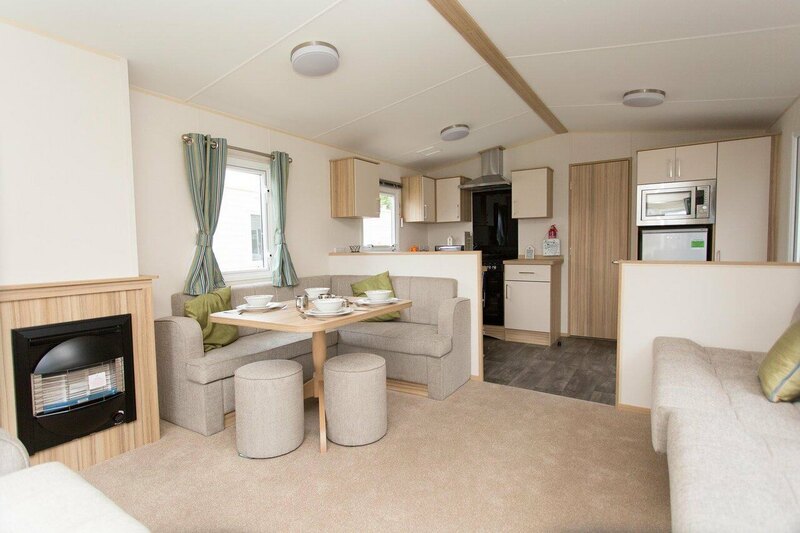 If you’re looking for a break on a budget, the Classic range offers great value for money in a comfortable and classic style holiday home.Two or three bedrooms (one double, two twins) or two bedroom (one double, one twin). 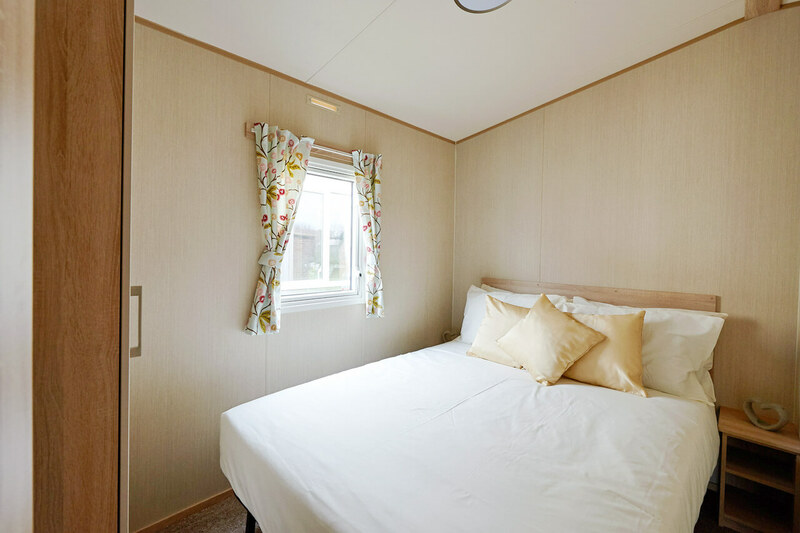 The two bedroom holiday homes are the same overall size as the three bedroom models, however you enjoy more spacious bedrooms and have an en-suite to the master bedroom. For those who like a more cosy and contemporary accommodation choice, our Popular accommodation ticks all the boxes. 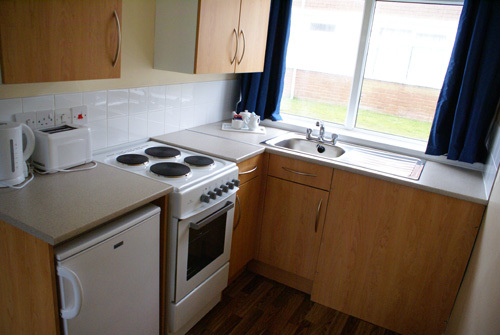 Each home has two or three bedrooms accommodating up to six people, all homes have double glazing and central heating. We supply bed linen and make your beds, so you waste no time on arrival. A great space for a family to have fun and play. These units also come with a House keeping welcome Pack. Luxury holiday homes feature a modern, stylish and luxurious feel. All have double glazing, central heating and modern facilities – bed linen is supplied and the beds made up for you so you can get straight on with enjoying your holiday! Each home has two or three bedrooms. These units are typically only 1 to 3 years old and offer the very latest in features and facilities. Platinum lodges offer beautiful bespoke interiors, and all the fittings and facilities you and your family or friends will ever need, with sleeping space for up to 6 people. Spacious, open and stylish, the premium lodges will cater for your every need for a truly memorable holiday. Lodges are located at both Brean Leisure Park and at Golden Sands; All lodges feature modern open plan living space with wifi and digital TV (including in the bedrooms), these lodges really do offer a stylish and spacious holiday “home”, in fact most people that stay in them say they are so comfortable they could actually live in them full time! These are slightly older caravans which offer a clean & tidy base for the weekend at exceptional value & include Freeview TV, Microwave, Fully Fitted Kitchen, Bathroom with Shower, Basin & W.C, A Lounge/Diner, Fridge, Gas Cooker, Gas Fire in the Lounge, Free Bed Linen & Gas & Electricity. Check in from 4pm. These chalets have 1 or 2 bedrooms with additional sleeping in the lounge area & offer clean & comfortable accommodation at a great Value price. The units offer small High sided shower, Basin, W.C, Freeview T.V, Electric Cooker, Fridge, Fitted Kitchen, Microwave, Dining Table & Chairs plus Free Gas & Electricity as well as Bed Linen. These chalets are of an older style but offer great value for money. Check in from 4pm. These are one of the best selling caravans. With newer interiors and additional space as they are 12ft wide models, they offer families every home comfort. Some of the silver models also have double glazing and central heating (cannot be guaranteed). Silver Chalets are of a higher spec, and offer a more spacious alternative to Value & Bronze Chalets. They come with all the same features, but are of a higher & newer level of fixtures & fittings. 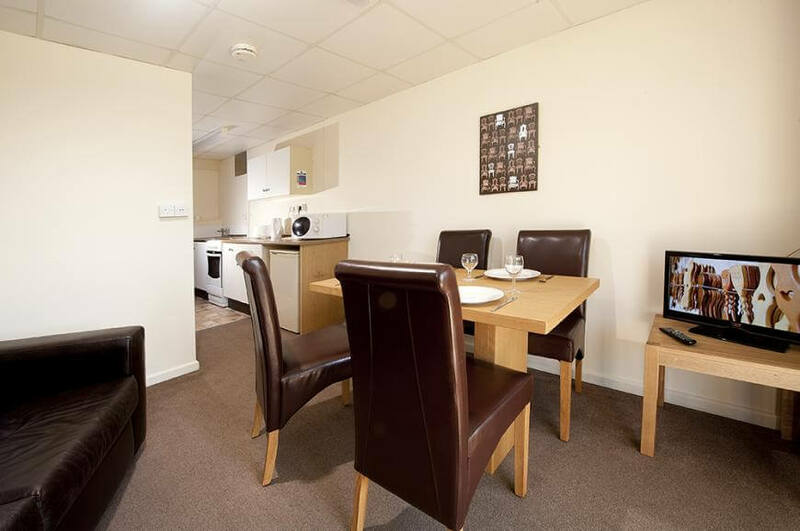 Recently refurbished gold chalets with quality fixtures and fittings and a modern look and feel. Gold Chalets are finished to a high standard & come complete with fitted kitchen, dishwasher, fridge/freezer, microwave, shower, bathroom, comfortable beds & furnishings, TV & DVD Player & Beds made up on arrival. Early Check in from 3pm available. The newest top of the range caravans. 12ft wide models with domestic style central heating, double glazing plus added insulation for year round comfort. They come fitted with spacious, modern living areas with 32" TV and DVD Player and full MP3 sound systems. Kitchens feature modern appliances including 4 ring gas burner, integrated cooker, fridge, freezer and microwave. There is also a TV in the master bedroom. Early check in from 2pm. So make the most of it and treat yourself!